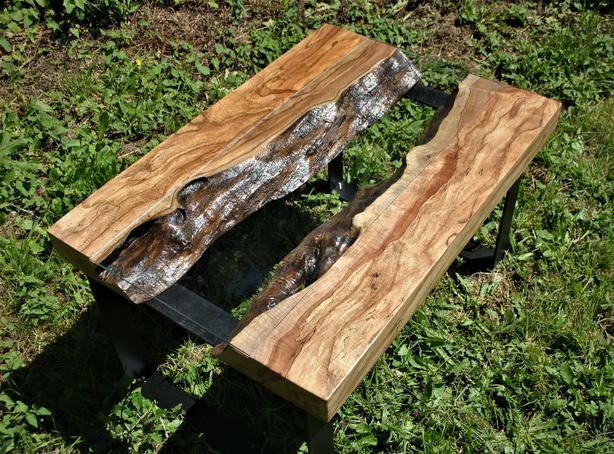 Beautiful live edge maple coffee table. Recently done from piece of spalted maple. Live edge inverted with glass inlay overtop. Lots of character in the live edge as well as the grain. Thick clear glass, solid bigleaf maple, sturdy 2.5" x 1/4" flat steel. Table measures 24" wide x 34" long x 19.5" tall. All ready for its new home. Delivery available if need be. Viewing in south nanaimo or in port alberni.